Though I haven’t lived there much in the last decade or so, Calgary is and always will be my home town. I grew up there and it will always be in my heart. The nearby Rocky Mountains loom large over Calgary’s compact downtown core inviting visitors to the city to quickly head west into the giant, incomparable landscapes of the Rockies. But other directions yield their own treasure when heading out from Calgary. Small towns and picturesque rural scenes dot the landscape and live beneath immense prairie skies. Drumheller and the badlands stand out as a favourite location with their otherworldly landscapes that feel like out-of-place deserts and are haunted by the ghosts of dinosaurs. Of course, after exploring those golden fields of wheat surrounding the city, Calgary draws you back in and from there, you can’t escape the pull of the mountains. Hikers, skiers, snowboarders and every other outdoor sports person is in heaven while a photographer like me is overwhelmed by the beauty of the place. 02. 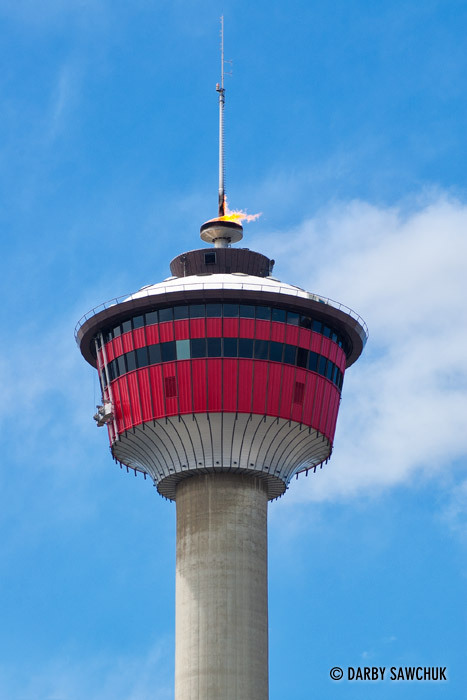 The top of the Calgary Tower with the torch lit in celebration. 03. 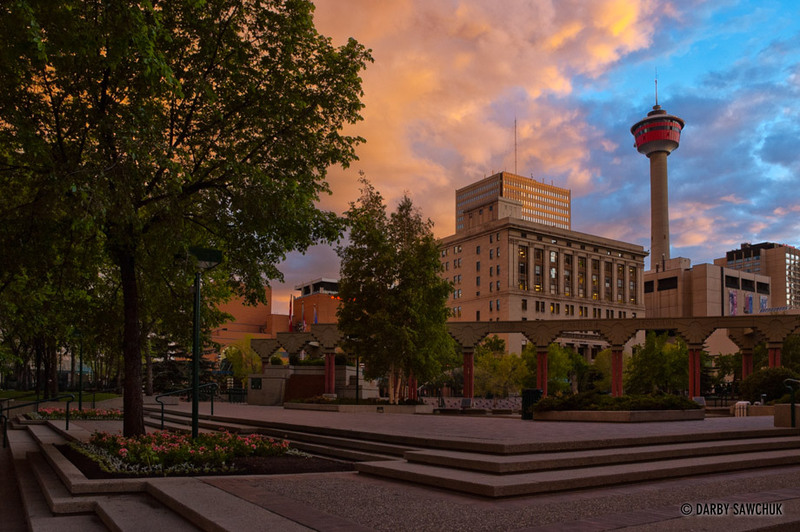 Olympic Plaza and the Calgary Tower at sunset. 05. 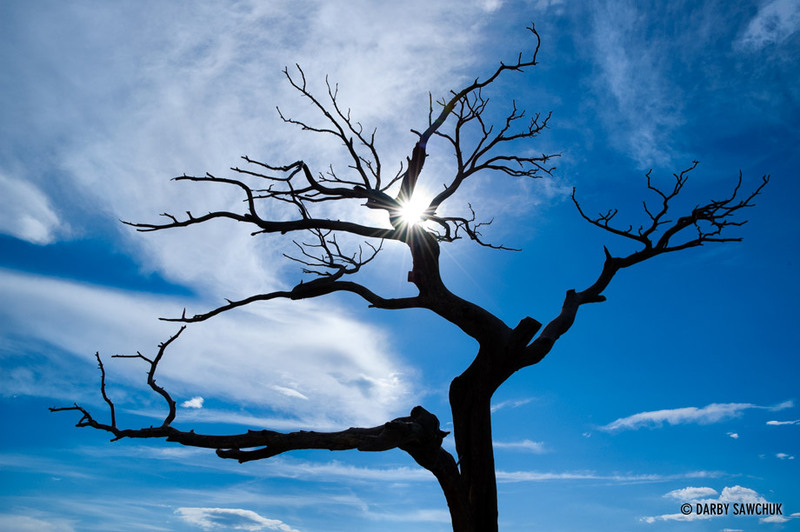 The centuries-old Burmis Tree in Southern Alberta, is one of the most photographed trees in the world. 06. 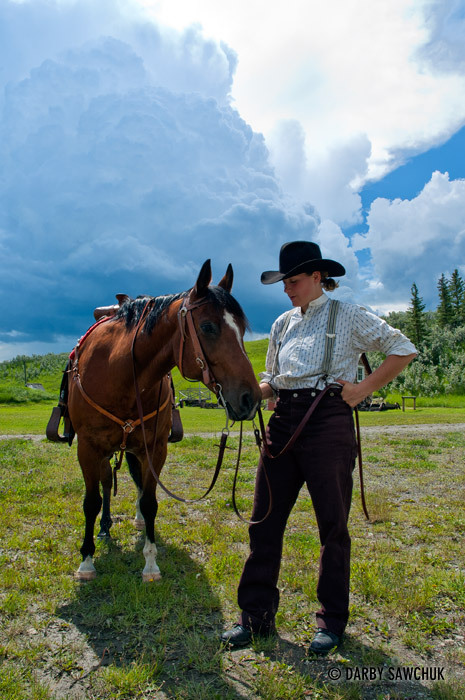 A cowgirl and her horse at the Bar-U ranch in Southern Alberta. 07. 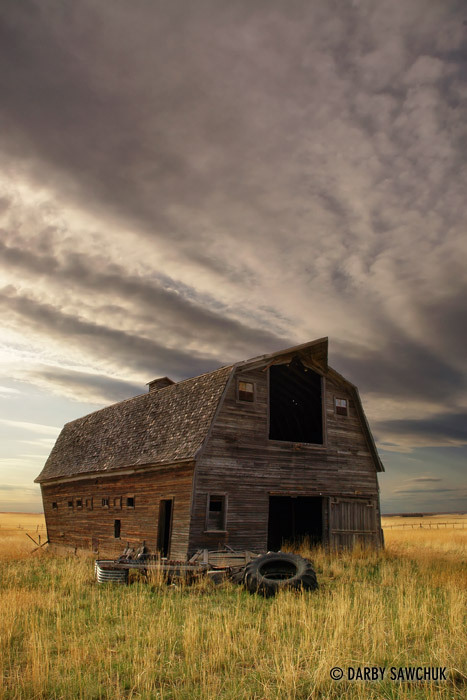 Clouds gather over a dilapidated barn in the Southern Alberta prairies. 08. 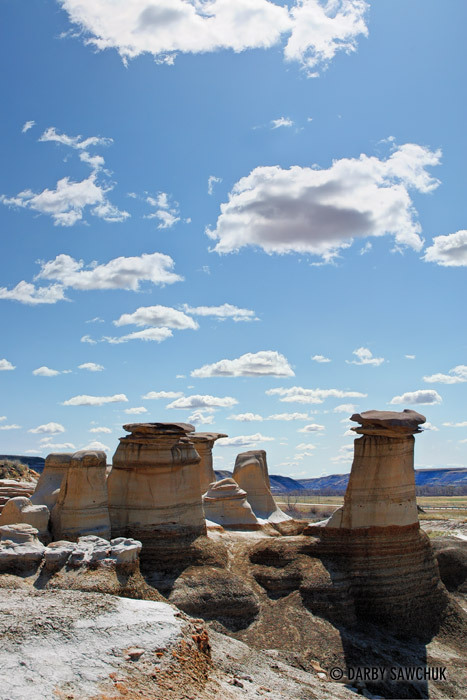 Unusual rock formations called hoodoos stand east of Drumheller, Alberta, Canada. 09. 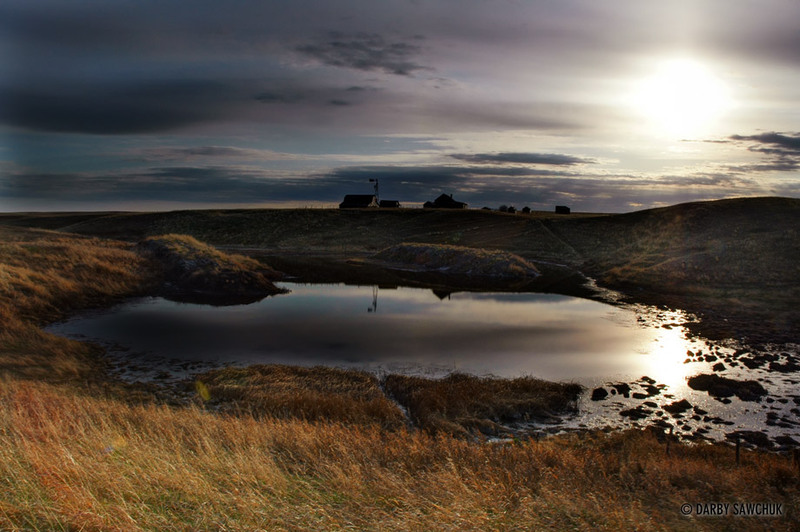 The evening sun reflcts off a pond in rural Southern Alberta. 10. 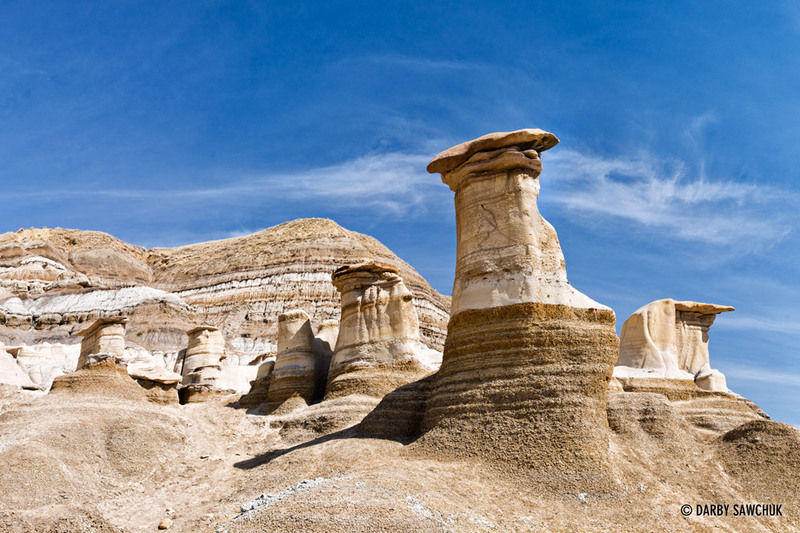 Unusual rock formations called hoodoos stand east of Drumheller, Alberta, Canada. 11. Large steel wheels lay abandoned near the Atlas Cole Mine near Drumheller, Alberta, Canada. 12. 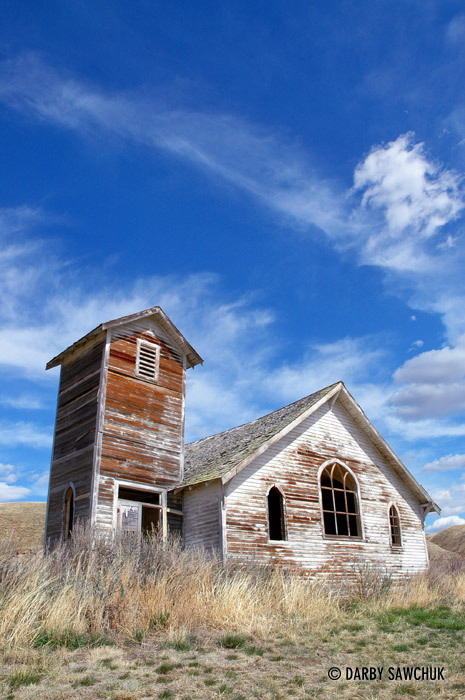 A small church in the village of Dorothy, Alberta, Canada. 13. Geological strata are visible in Horseshoe Canyon near Drumheller, Alberta, Canada. 14. 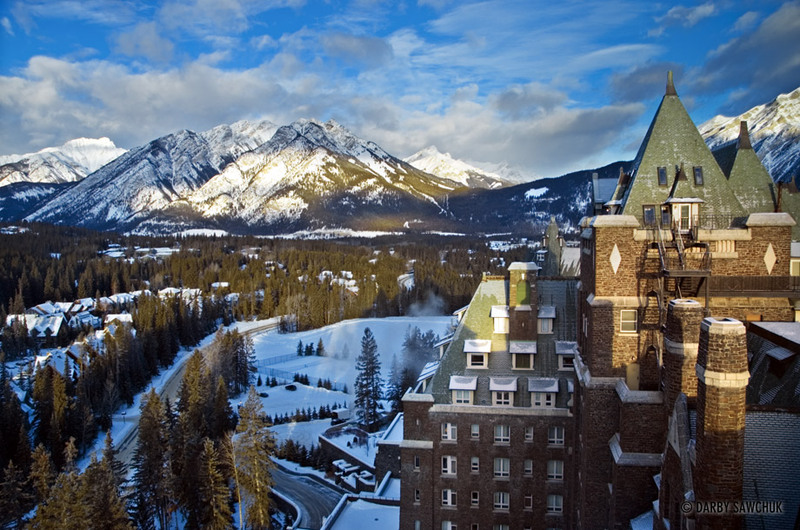 The view from the top of the Banff Springs Hotel in the winter. 15. 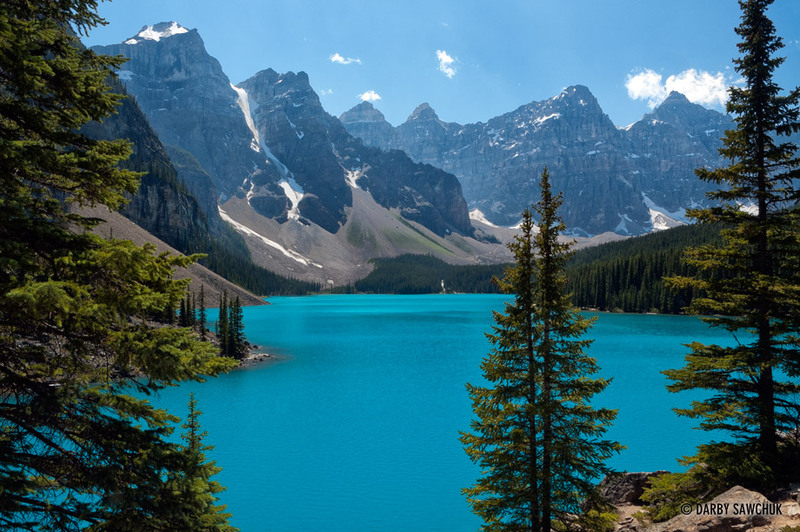 The blue waters of the glacially-fed Moraine Lake in the Valley of the Ten Peaks in the Alberta Rocky Mountains. 16. 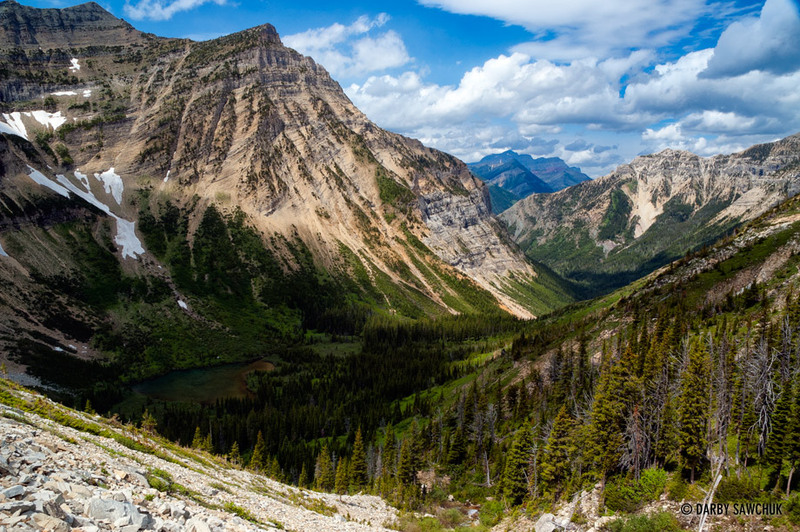 Mountain peaks tower over the valley leading to Crypt Lake in Waterton Lakes National Park, in Southern Alberta, Canada. 17. 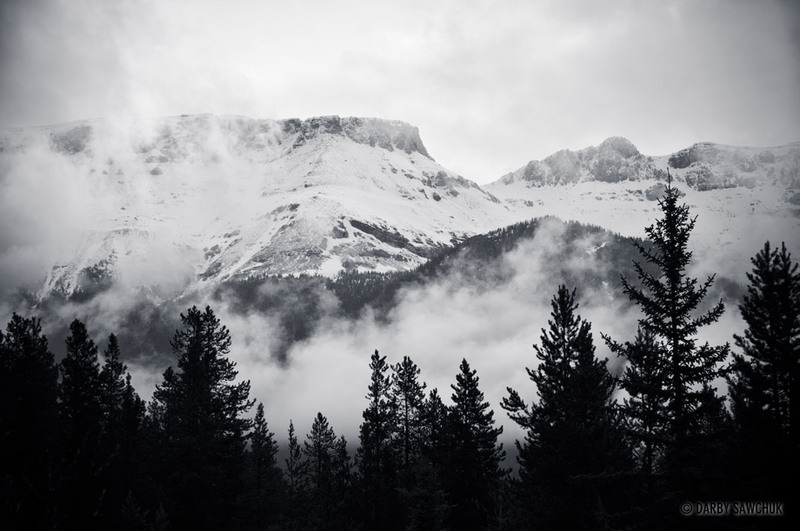 Clouds wash over the snow-covered peaks of the Alberta Rockies. 18. 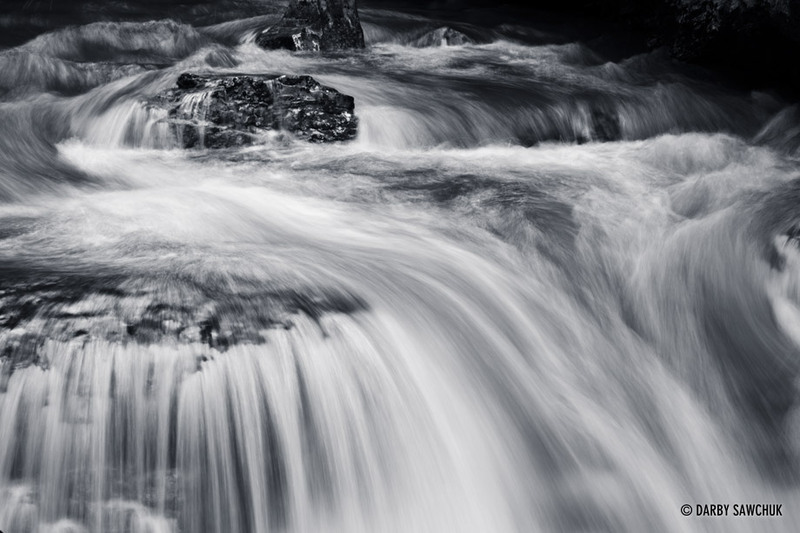 One of the many cascades in Johnston Canyon in Banff National Park. 19. 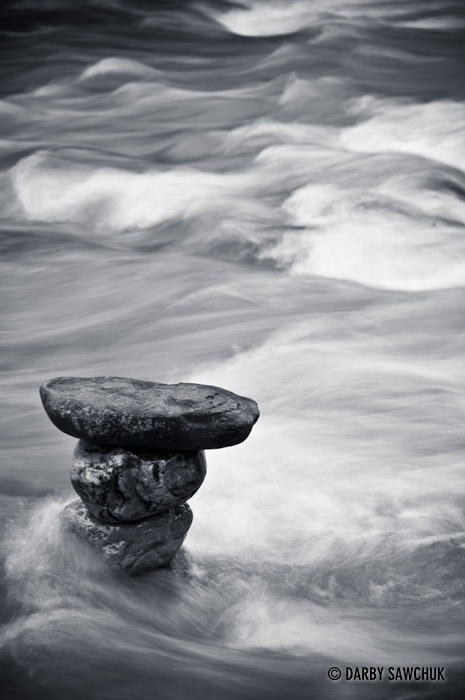 Stones balance in the current of a river in the Rocky Mountains. 20. 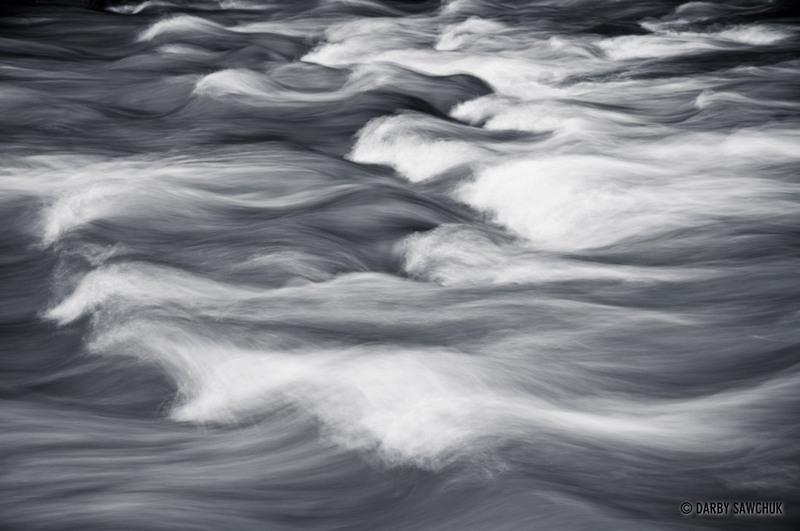 Rapids on a river in the Southern Alberta Rockies. 21. 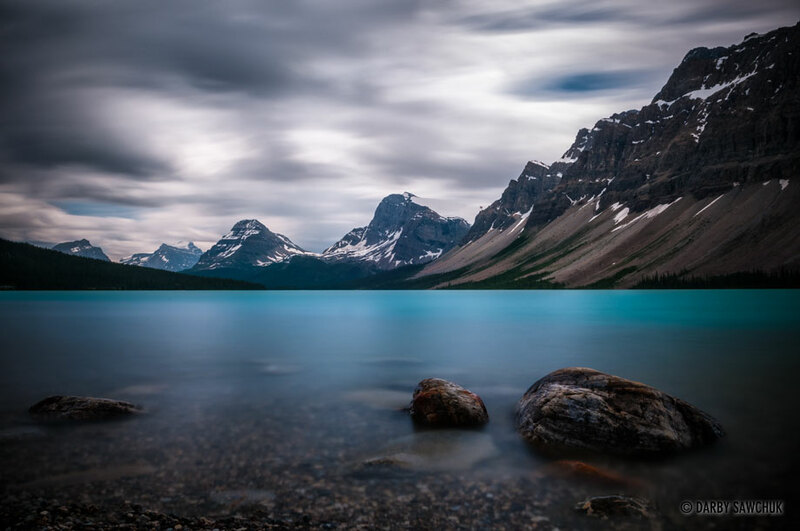 The calm, blue, glacial waters of Bow Lake in Banff National Park, Alberta, Canada. 22. 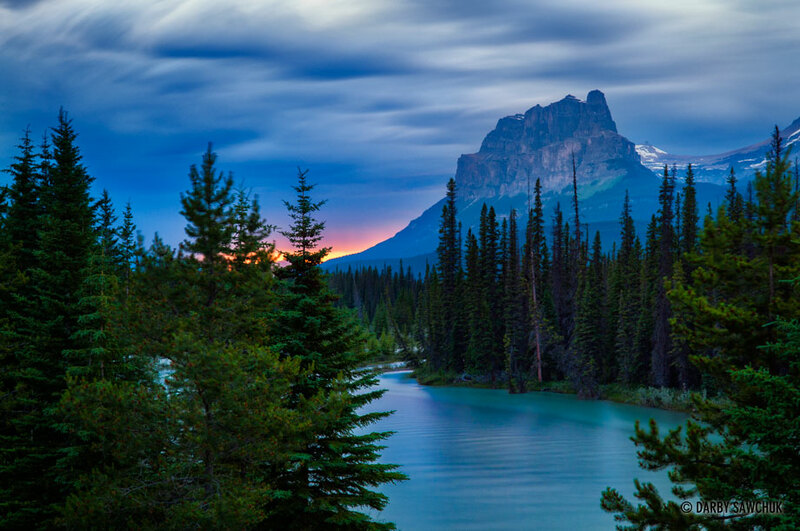 Castle Mountain in Banff National Park at dusk with the Bow river in the foreground. Keywords: photos of southern alberta, photos of calgary, images of southern alberta, images of calgary, , pictures of southern alberta, pictures of calgary, architectural photography, landscape photography, travel photography, fine art prints, stock photography. oh God what a beautiful places, specially the 23rd one.